How, you might ask, does this cynic form the belief that one day she was just simply MEANT to have prawn Caesar salad for dinner? One. 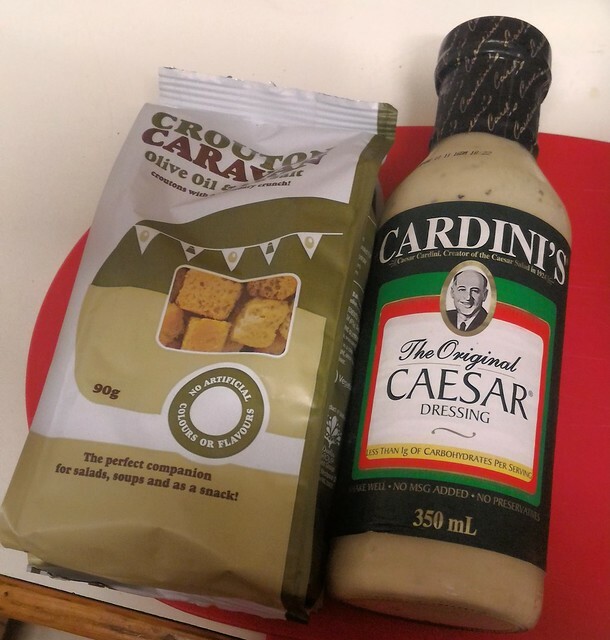 A PR Company send you Cardini’s Caesar Dressing. 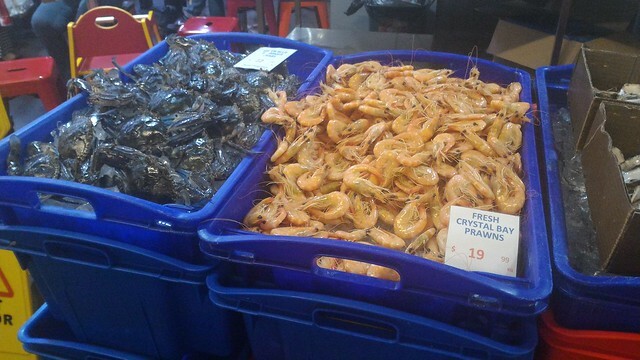 You get let out from your job search appointment early because they think you’re awesome for getting and interview, and Steel Street Seafoods have an actual GLUT of prawns (seriously, they ordered 300kg when they really only meant to order 150) and so have them tempting you as you wander to the supermarket. 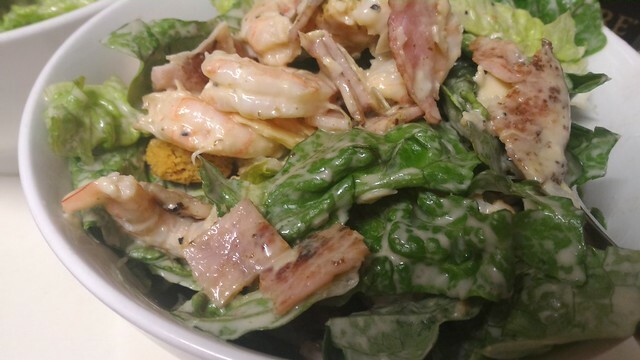 And so you complete the picture with croutons, anchovies bacon and lettuce. Next time I get fresh prawns, so it’s less salty.